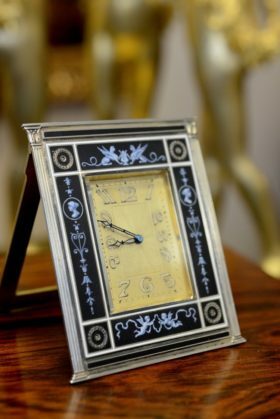 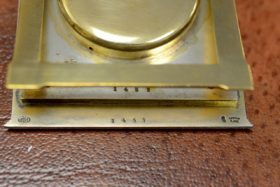 Austrian sterling silver enameled easel clock. 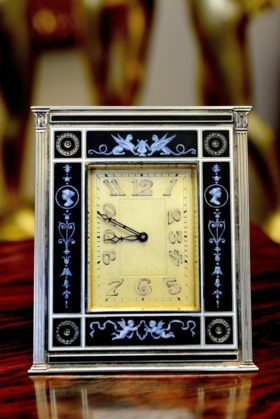 This clock is done in the empire style with luminous numerals and hands by Stylo . 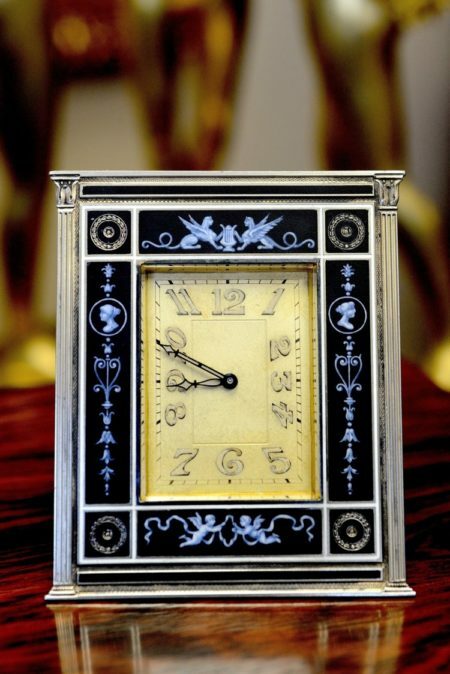 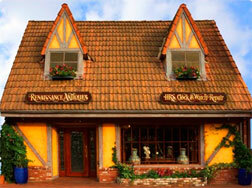 Its design features Art Deco style numerals, and delicate imagery of sphinxes and cherubs. 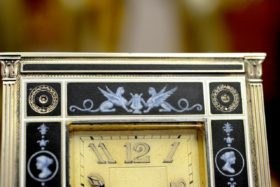 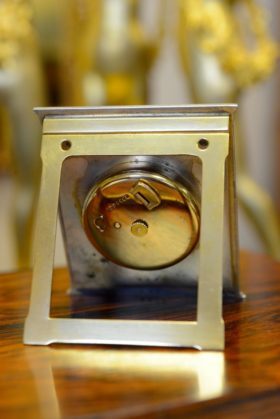 This clock houses an 8 day, 15 jewel movement by Concord.